BCDB Rating: "The Lego Movie 2: The Second Part" has not yet received enough votes to be rated. This page has been viewed 82 times this month, and 4635 times total. Cartoon Characters: Emmet Brickowski, Rex Dangervest, Lucy/Wyldstyle, Batman, Queen Watevra, General Sweet Mayhem, Benny, Unikitty, MetalBeard, Finn, Bianca, Mom, President Business, The Man Upstairs, Ice Cream Cone, Superman, Hal Jordan, Wonder Woman, Aquaman, Harley Quinn, Lex Luthor, Alfred Pennyworth, Abraham Lincoln, Bruce Willis, Banarnar, Zebe, Balthazar, Larry Poppins, Gary Payton, Sheryl Swoopes, Velma Dinkley. Produced By Phil Lord, Chris Miller, Dan Lin, Roy Lee, Chris McKay, Jinko Gotoh, Jill Wilfert. Written By Phil Lord, Chris Miller, Matt Fogel. Production budget estimated at $99 million. 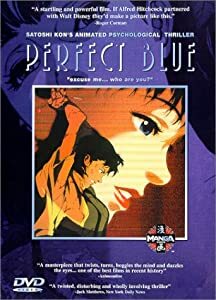 Do you have anything to add to this page? Have we made any mistakes... or do you have any additional information about The Lego Movie 2: The Second Part? If so, we would love to hear from you. Please send us a quick note with your additions or corrections to this page, and we will make the corrections as soon as possible! 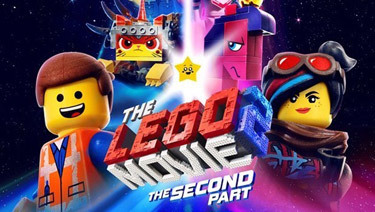 Do you love The Lego Movie 2: The Second Part, or do you think it is the worst cartoon ever? Let us know what you think! Surely you have an opinion... so share what you think. Take a minute and post your own comments about this cartoon here. The Lego Movie 2: The Second Part by Big Cartoon DataBase is licensed under a Creative Commons Attribution-NonCommercial-ShareAlike 4.0 International License.